Any decent survival checklist is going to take into consideration the 4 basic human needs for survival – food, water, shelter, fire. Emergency preparedness situations also usually mean cutting out luxuries. So all of your equipment, gear and planning needs to focus on at least one of those survival basics. Wherever you can, compile gear that does double duty. For example, a quality camping hatchet can be used for chopping wood, as a hammer, as a personal defense weapon and for hunting. The very basic survival checklist here can be customized to your unique situation. Just remember that if you ask 10 survivalists what type of emergency preparation checklist they recommend, you will get 10 different answers. Use the following list as a rough guideline or resource to get you thinking, not a “set in stone” final solution to emergency preparedness. Water – 1 gallon per person per day for the period of time you are prepping for. (Example > minimal water supply for 3 people for 1 year will be 1,095 gallons.) Refer to our emergency water preparedness guide for more in-depth information. Food – How Much Food Is Enough?” Here is a handy calorie counting formula that will show you exactly how much food you should stockpile, depending on how many people are in your survival party: Multiply your weight by 12 if you are an adult male, and by 11 if you are an adult female. Tweens and teens have higher BMRs, so add 200 to 300 calories a day using the above math. Keep in mind also that many stressful survival situations demand physical labor and exertion, which should also be taken into account. If you plan between 2000-2500 calories per person per day, you should end up with plenty of leeway on both ends of the calculation to successfully feed your party. 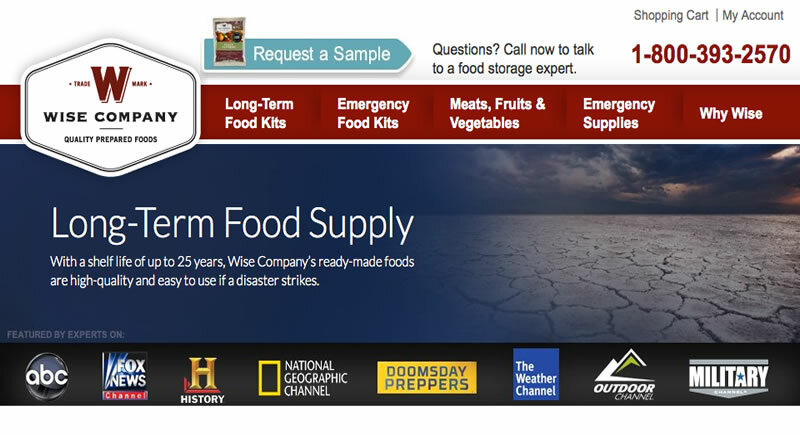 Some prepare for a disaster by storing simple canned goods and long-lasting foods like rice and grains. 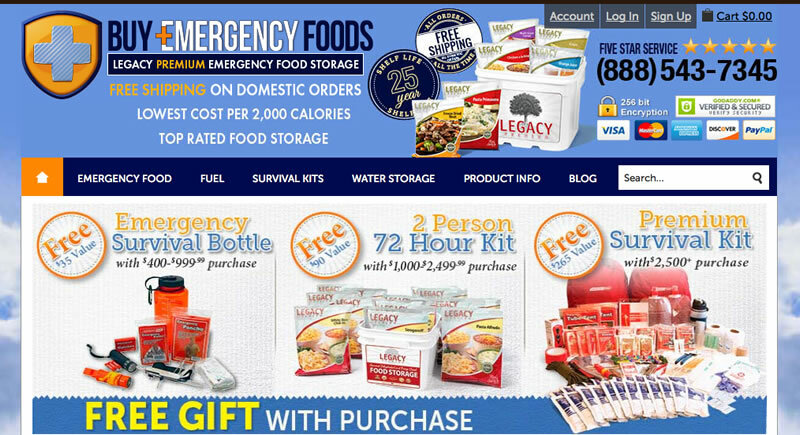 Others opt for purchasing ready-made emergency food kits from survival food suppliers. The choice is yours. 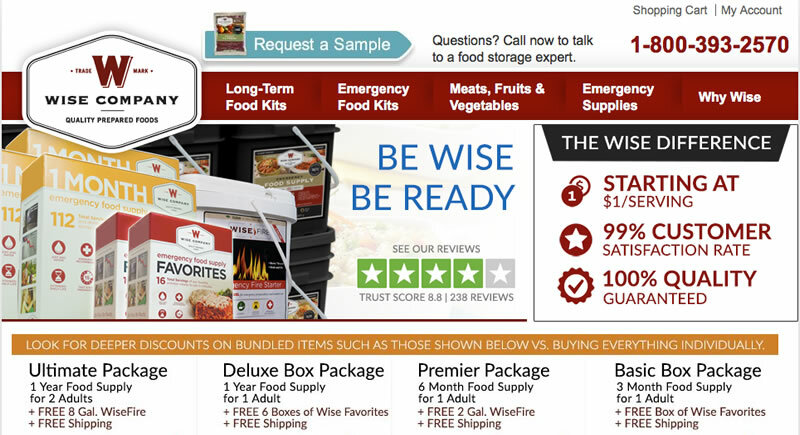 This survival topic is covered in full in our emergency food section. Fire – Waterproof matches, cotton and Vaseline, (they combine to make excellent fire starters), magnesium and flint fire starters, tinder and disposable lighters should all make their way into your disaster survival plan. Shelter – If you plan on riding out a disaster right where you currently live, you have shelter covered. If not, purchase enough lightweight tents to handle your family’s needs. A versatile and rugged tarp can also function as a makeshift shelter in a pinch. (Do not forget, your clothing and shoes are your first level of shelter, protecting you from exposure.) Those with the means to do so can also consider creating an emergency bunker that can safely and securely house your emergency supplies and your survival party. These types of emergency shelter options can be as simple or as elaborate as you desire, with emergency bunker costs ranging from several thousand to several million dollars. There are prefabricated kits that can be added to your existing residence or your can purchase separate property for this purpose. The options are vast. Communications – 2-way radios and walkie-talkies can be life savers in a disaster situation. Do not overlook your cell phone, because the communications and cellular grids may be working fine. A ham radio allows you to send and receive broadcasts, and is used by many of the world’s disaster response services and agencies. Hand powered, cranking NOAA weather radio / flashlight / AM FM combos serve multiple purposes, and can be found on Amazon and at most online survival outfitters. Find out more in our guide to emergency communications. Paperwork – Make copies of any and all paperwork, licenses, certifications and other important information you may need. This includes identification and medical information. You should also make sure to provide some type of proof that your pet belongs to you, if you bring Fluffy or Spot along. Storage – You need to dedicate a storage area for your emergency supplies. This will ideally be where you are going to ride out an emergency. Long-term supplies can take up quite a bit of room. For water storage alone, you need a minimum of 365 gallons per year per person. Your food storage will also take up a lot of space. Plan accordingly. First aid – Purchase 1 or 2 family sized first aid kits. Also invest in individual first aid items like gauze, peroxide, tweezers, scissors, rubbing alcohol, bandages and waterproof adhesive tape. Collect one small personal first aid kit per person in your respective party as well. Knives, hatchets and axes – Your survival knife is going to be your most frequently used piece of survival gear equipment if you spend most of your time outdoors. Get 1 large fixed blade (8 to 10 inches) and at least 1 small folding knife or Swiss Army knife per person. A camping axe or hatchet is also a required survival item. Miscellaneous gear – Make sure to pack all of these that you can: fire extinguisher, several rope coils, picture hanging wire for snares and other uses, duct tape, a Leatherman or pocket multitool, blade sharpener, condoms (great for emergency water storage and transportation), bleach, solar battery charger, extra batteries, a watch or clock. Light and heat – Candles, flashlights, hands-free headlamps, lanterns, stationary and portable heaters, gas and wood powered, as well as pocket warmers. Self-defense – This is going to depend on personal preference. If you are trained on a handgun, that is the single best emergency survival self defense item you can buy. A 22 caliber rifle is the second best, since you can also use it for hunting. If you are uncomfortable with handguns and shotguns, load up on the pepper spray. Backup batteries, household bleach, toilet paper (one of the best bartering survival items ever), sleeping bags, towels, soap and deodorant, 5 days worth of clothing, footwear with ankle support, as many buckets as you can stockpile and entertainment items like books, puzzles and games are also crucial to delivering a lifestyle that is as close to normal as possible. Emergency power supplies such as a generator and sufficient fuel goes a long way toward making a disaster survival situation enjoyable. So do extras like MP3 players, tablets, laptops and computers, assuming that technology is readily available to support those items.